As more and more people follow the trend of working from home, Remote Desktop VS VPN service becomes the latest matter of discussion. A virtual private network and remote desktop both enable users to have access to resources on remote computer systems. However, both operate differently with their own set of advantages as wekk disadvantages. Before getting into a discussion about Remote Desktop VS VPN service, it is necessary to understand how both of these technologies work and what they have to offer. VPN – What is it and how does it Work? VPN, or Virtual Private Network, is established when a set of systems are connected to each other in a private network over the internet, which is a public network. A safety tunnel is created between the main VPN server and the devices in the public network. In this way, data sharing is secure with no hacker attacks or third party interference. You will see how VPN is better in the debate about Remote Desktop VS VPN service through the following discussion. Among numerous other advantages of Virtual Private Network services, access to shared files and resources from remote locations is possible. For instance, you can give commands to a printer in your office to print a document which you are working on from home. The physical distance does not matter if your office printer is a shared resource in your private network. Similarly, you can share all important documents to be able to work on them whether you are at your office, in your home or on the go. Any device in your network, be it a desktop computer or an iPad, will be able to access and use the shared content. 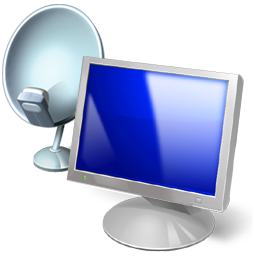 Remote Desktop is a set of software applications which allow users to connect to a remote computer. All the files and resources can be accessed through a remote desktop, but the security levels are much lower when we do a Remote Desktop VS VPN service comparison. This technology is useful for maintaining a set of computers from a remote location. For instance, you can perform configurations and manage installations on all your office systems simultaneously by controlling them through just one computer. Remote Desktop VS VPN Service – Which is Better? Here are a few prominent differences to help you understand the debate about Remote Desktop VS VPN service better. The secure tunnel created in a VPN ensures far more security than Remote Desktop. All your data is encrypted for safe transfer from one remote location to another. Moreover, VPN only allows shared content to be accessed remotely to tighten the security. If your device falls in the wrong hands, they won’t be able to access and manipulate unshared data and resources. Remote Desktop VS VPN service comparison also points to the fact that VPN is easier to manage than Remote Desktop. With VPN, problems are easier to troubleshoot and address. VPN service providers let you customize the settings to communicate with your private network easily. The shared content is all available on your desktop for easy handling and manageability. In a comparison of Remote Desktop VS VPN service, VPN wins again due to better performance. Remote Desktop can perform poorly if connection speeds of your computer are slow. Remote Desktop VS VPN service – both have their own advantages. However, with high security, better performance and manageability, VPN seems to be a clear winner in the competition of Remote Desktop VS VPN service. Here is the list of Top 5 VPN providers of VPN industry.